Later in the morning, the Tsukuba Fire Department brought fire trucks and ambulances for our students to look at up close and they also created a “smoke room” experience where students travelled through a room with “fake smoke” by staying close to the ground and covering their mouths. Afterwards, we gathered as a whole school to ask questions of the fire fighters and ambulance attendants. The students had many questions, ranging from the different kinds of fires that they had fought to the reasons why they decided to become fire fighters and ambulance attendants. Earth Day was celebrated on April 21. Students planted flowers on The Green (behind the East Building) and teams of MYP students and teachers went around our neighbourhood picking up garbage. A huge number of large garbage items (e.g. tires, TVs and other appliances, etc.) were removed from the forested areas around our school. What can we do to stop people from being so disrespectful to the environment? One of our Grade 10 students participated in the internationally coordinated March for Science that was held in Tsukuba. The student ran a display of her MYP Personal Project topic, which was about how to use briquettes made of biomass as fuel. She also participated in the march which travelled from Central Park in Tsukuba down the pedestrian deck and back. 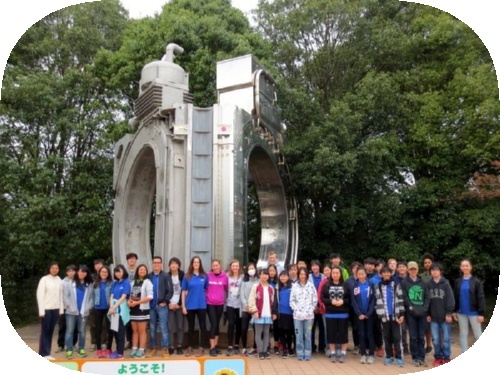 One of our former art teachers, Mrs. Cheryl Okubo, organized the march in Tsukuba. One of our Grade 4 students paired up with Ms. Marsh to offer a cycling adventure that was designed for students on April 23. Families met up at Banpaku Kinen Koen Station and Fukuoka no Seki for a day of picnicking, playing, and cycling. 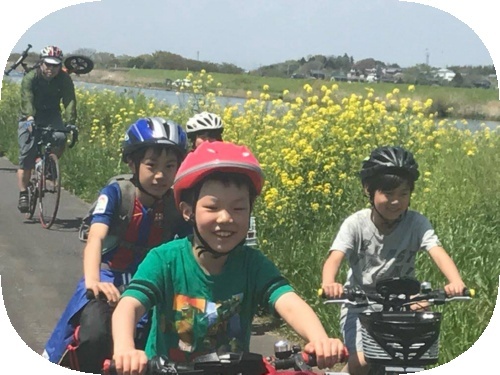 The group cycled about 5 km in total along the Kokai River and then came back to enjoy a picnic lunch with their friends. It was a lovely day for students, parents, and teachers. Ms. Marsh, Ms. Pardy, Mr. Okyne, and Ms. Crawford joined the event. Most families tend to join our school in August, but this year we had thirteen new students joining from April 3 for our Spring Headstart Program. 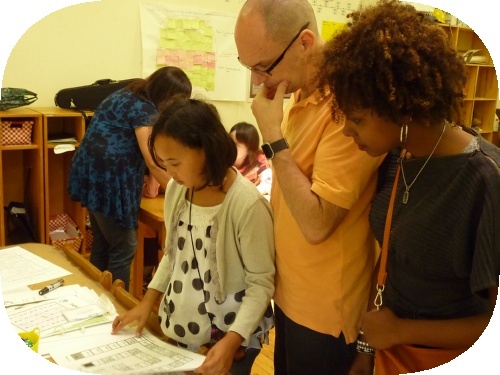 The PYP students met with their parents and teachers to discuss their progress at after school meetings from March 27 to April 7. This is a very valuable time for the three people who are most involved in the students’ learning to come together to discuss successes, areas for improvement, and plans for the future. Parent-Teacher conferences were held from April 24 to 28. These conferences were for new students who had joined within the past month or so. The meetings gave the parents and teachers a chance to talk with each other about the students’ progress and relay any important information about the program for the rest of the year. Student-led conferences were held on April 29. In these conferences, students are given the responsibility to tell the story of their own learning in all areas of development to their parents. Students are responsible for leading the conferences and not only showcasing their own strengths but also setting goals for improvement. The conferences give parents a clear insight into the kinds of work their children are doing, as well as providing parents with an opportunity to discuss their children’s work and identify ways they can offer support to help their children achieve their own goals. Term 2 Report Cards for MYP students were published through ManageBac on April 7. We have many opportunities for parents to volunteer at the school. 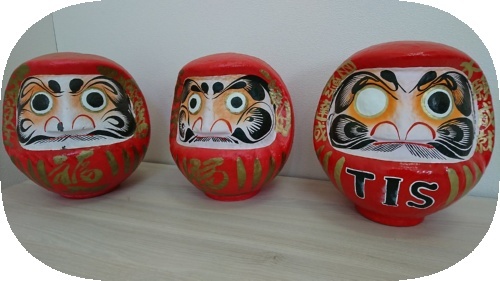 This month, many parents came to work sessions on April 24, 25, and 27 to help prepare for Tsukuba International Festival, which will be held on May 13 and 14. In addition, one very helpful dad of a student in Grade 2 came and cleaned out all of our air conditioner filters (a HUGE job, and a GREAT help!). We ask parents to volunteer two or three times per year when their schedules permit. The school benefits from the help that the parents provide, and parents also benefit from creating deeper relations with the school and the staff. We held our Open School Day and Parent Circle (for parents of current TIS students) on Wednesday, April 5 in the afternoon. Our school counsellors held counselling sessions on April 24 and 28. One of our founding board members, Mr. Takayoshi Nishitani, passed away on April 7. The following is a statement by our principal, Ms. Crawford, upon hearing of Mr. Nishitani’s passing. Mr. Nishitani, one of our school’s board members, passed away today. 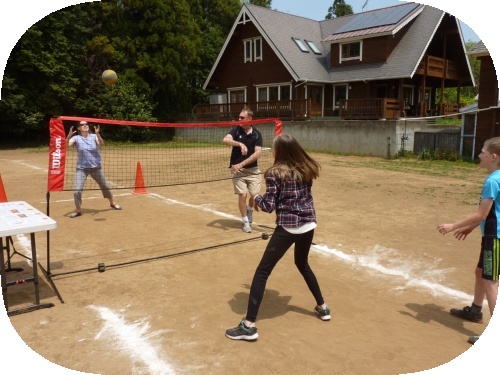 Nishitani-sensei was a friend of Mr. Kano (the former principal of the school) and was instrumental in the development of our school. 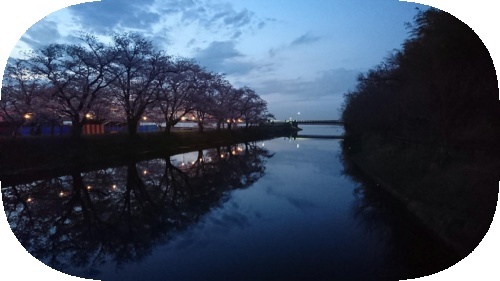 He had been elected to the prefectural government at one point in his life, and he was also the board chair for several other private schools, so his knowledge of the academic and political milieu that we operate in was all-encompassing. Without his support, I am certain that Mr. Kano would have had trouble explaining to the prefectural government about the need for our school and it would have been very difficult for us to continue to operate without the “gakkou houjin” (educational organization) status that the prefecture finally conferred on us with his help. In addition, since Mr. Kano passed away in 2011, Mr. Nishitani took on a role of supporting me, personally, in my role as leader of our school. It is a daunting task to be suddenly in charge of 80 students and a handful of staff members, and it is an equally challenging task to grow a school of that size to an organization of the size that our school is now (e.g. almost 200 students and around 40 staff members), and to continue to lead our little “loghouse in the woods” into the future. Whenever I was unsure of a major decision, such as deciding to implement the International Baccalaureate Diploma Programme (i.e. expanding the school to include Grades 11 and 12), considering the construction of the new school building, or wanting to buy more land, Mr. Nishitani was always there to share his decades of experience and understanding with me in order to lead me to (what I hope was) a reasonable decision. That said, he did not try to dominate my thinking, but instead chose to ignore my (relative) youth and inexperience, and treat my ideas with respect and consideration. When we talked about the school, he would listen to my ideas, concerns, comments, suggestions, and thoughts and respond with his own advice and ideas. He never insisted on his own way, although he was persistent in reminding me when he had an idea about something I should change. He was always challenging me to THINK BIGGER and DREAM MORE. He was very clear on the point that a good leader needs to always be looking to the future. Even as I visited him in the palliative care unit of the hospital last week, he was talking about the future. He felt that there was more that he could do, and that he had no time for dying! Mr. Kano and Mr. Nishitani were both massive influences on our school, and on me personally. While our school community hasn’t heard the name “Nishitani” as much as it is has heard “Kano”, I strongly feel that the combination of the two of them is what has gotten us to where we are today. The passing of Mr. Nishitani is a desperate loss to our community, but I feel comforted in the fact that they both dedicated their lives to teaching others so that their legacies could live on through us. Ms. Crawford added the following photo and comments to her statement. New School Bus with 45 Seats! Every year, we have a silly day in April where students wear funny articles of clothing. This year, we couldn’t decide between pajamas and capes, so we decided to do both! Ms. Marsh’s Spiderman pajamas (with cape!) were an especial treat! From April 12 to 14, two visitors came to our school to verify the documentation that we had sent to the International Baccalaureate Organization to prove that we were ready to offer the IB Diploma Programme. 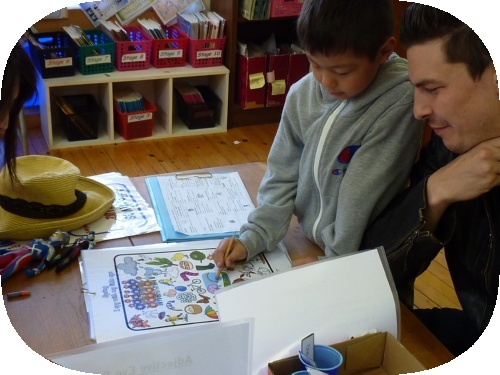 The visitors interviewed staff, students, parents, and board members during their time at our school to investigate the depth of our understanding and determine whether we really had prepared the whole school for this new programme. The results of our PYP and MYP verification visits took about two months to reach us; however, the results of this visit came to us within two weeks! Tsukuba International School is now authorized to offer the IB Diploma Programme as of April 25, 2017. You can read Ms. Crawford’s message to the school community on this most auspicious of days on our school’s website. We held our monthly School Information Session (for prospective parents) on April 26 from 10:15 am. Twelve families were in attendance. We interviewed nine potential new families this month. Ms. Crawford attended a new building ceremony at Meikei Gakuen (Mr. Kano’s former school). 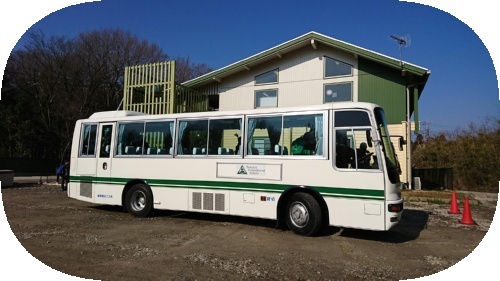 Meikei Gakuen is authorized to offer the Diploma Programme, and in order to offer the programme, the school decided to build an addition to its campus. The resulting building is called “Agora” and it includes five classrooms, one mini science lab, and a large amphitheatre that can seat around 300 people in bleacher-style chairs. Ms. Crawford attended the dedication ceremony for this building on April 27．Having two DP-authorized schools in the same city is a major advantage to both of our schools, and we plan to find ways to collaborate with each other in the future to enhance student learning in our respective programmes. Ms. Crawford attended a meeting about the International Baccalaureate at the Ministry of Education, Culture, Sports, Science and Technology (MEXT) on April 17. At this meeting, she gave a speech about the International Baccalaureate Association of Japan and mentioned the challenges of implementing the IB programmes in schools in Japan. Ms. Crawford attended the Spring meeting of the IB Association of Japan on April 18. Ms. Crawford is the Vice President of the Japan Council of International Schools. She attended the Spring meeting of JCIS on April 19. If you have any questions or comments about this report, please feel free to contact us.